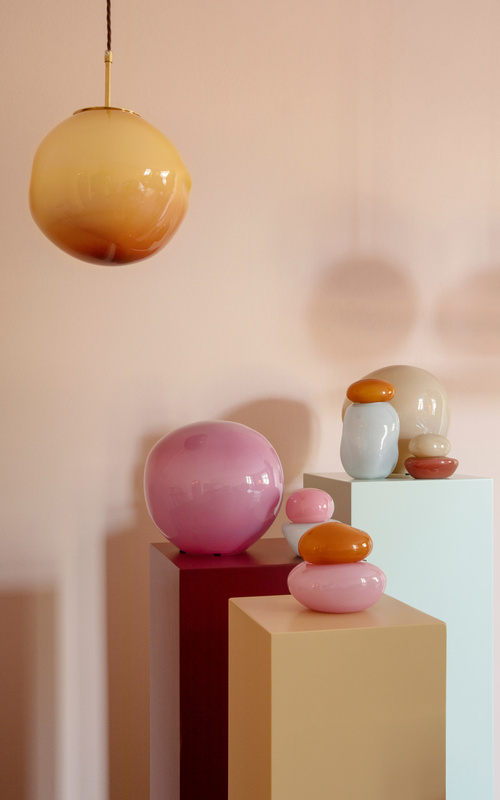 Danish designer Helle Mardahl presented a Candy Collection lamps made in the form of candies at a three-day design exhibition in Copenhagen. 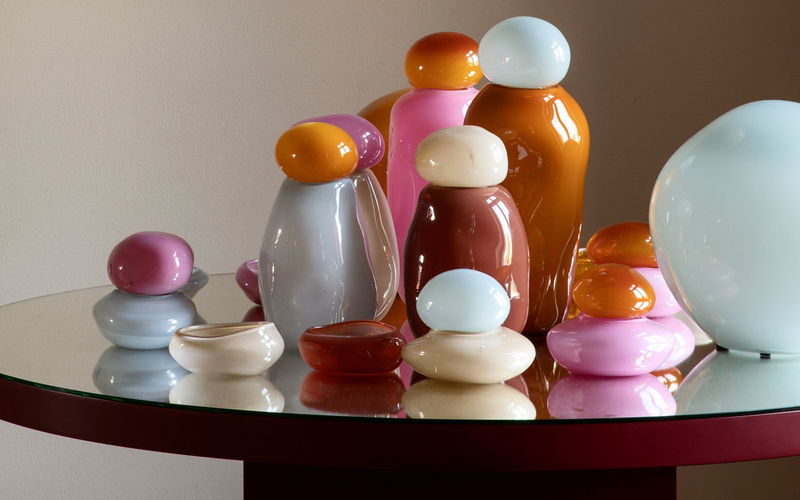 Bright lamps from blown glass are represented in the collection of various shapes and sizes. 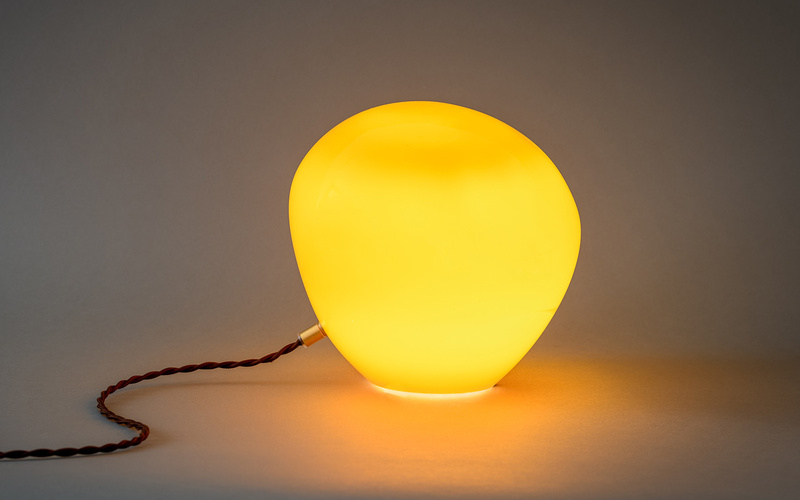 When they illuminated, they emit a soft glow. 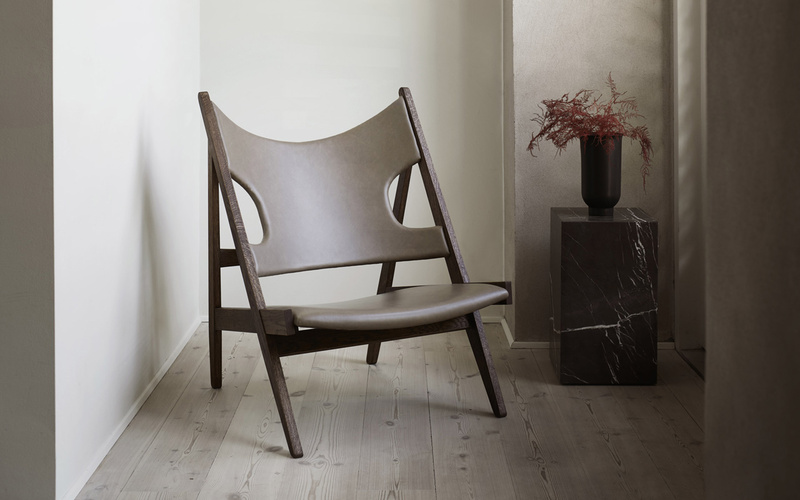 British designer Damian Williamson, inspired by the manufacture of pasta, created a chair for the Danish brand Erik Jørgensen. 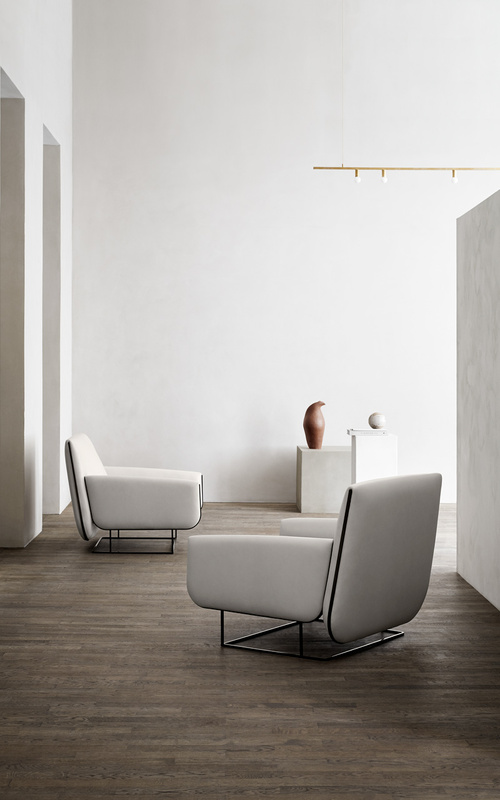 The Ovo chair is framed by a large backrest and two armrests. 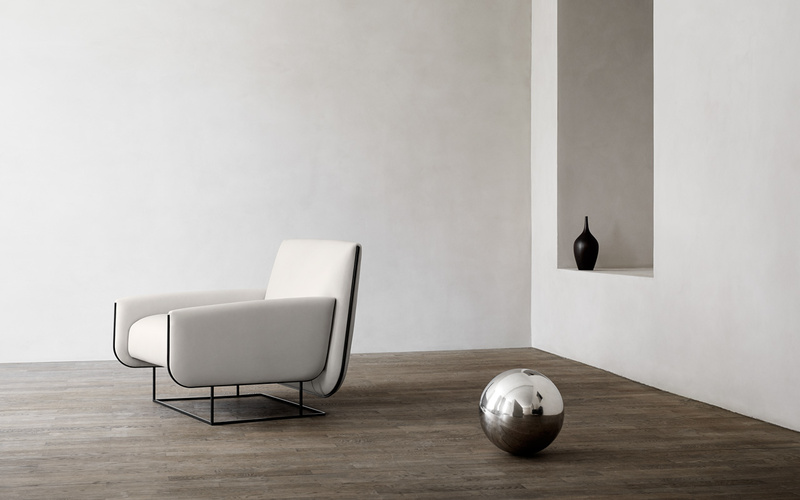 Large curved panels made of leather with stitched seams, fixed on a square steel frame that connects the back and front of the chair. 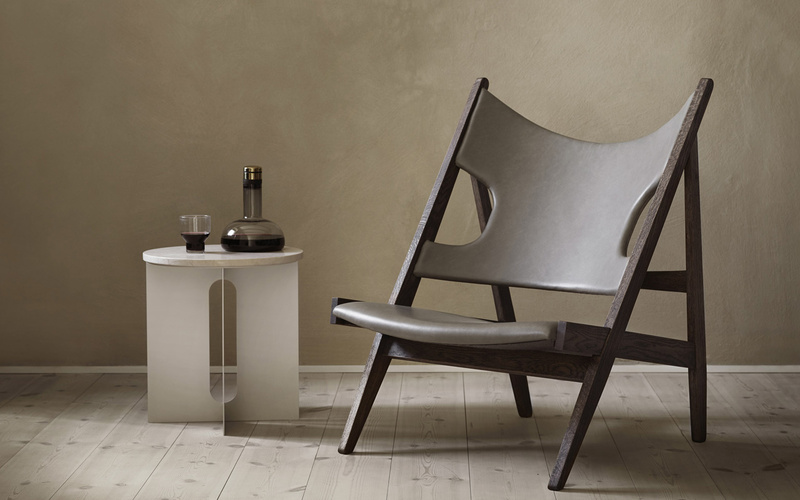 Danish brand Menu re-released a reclining chair, designed by Ib Kofod Larsen in 1951. 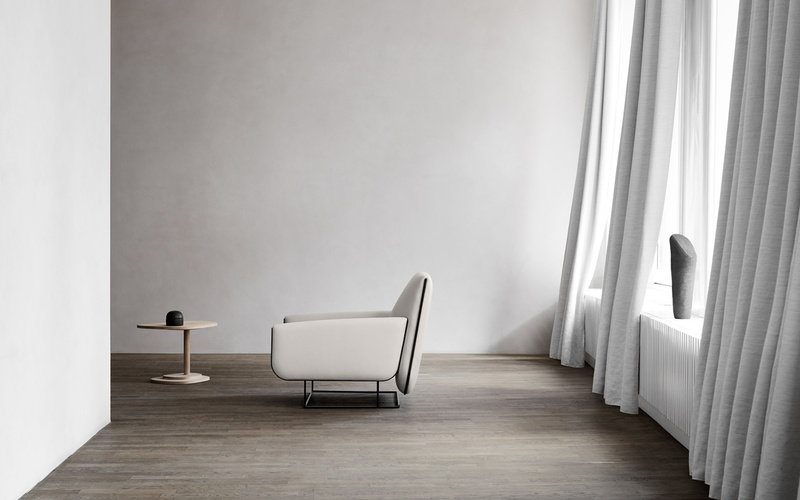 This small armchair has an exhibited triangular shape, a softly curved seat, a tilted back with distinctive notches for resting elbows while knitting or reading. 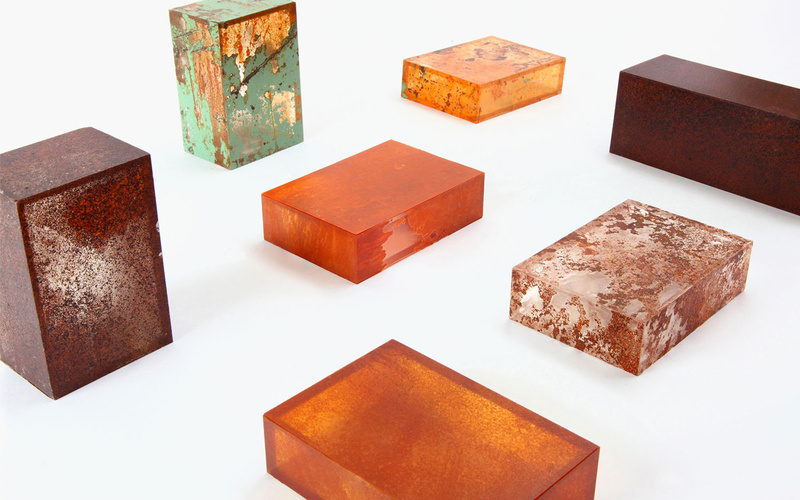 Designer Yuma Kano from Japan created a fascinating experimental material based on rust, obtained in a natural way. 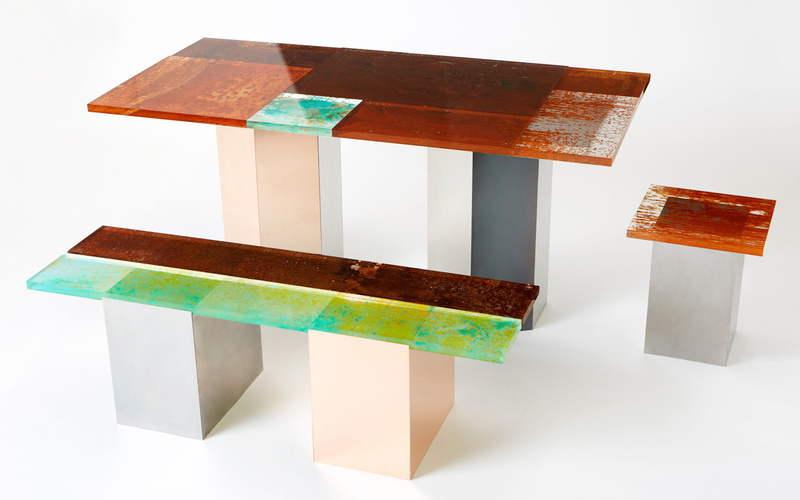 Through trial and error, Yuma developed a technique that allowed him to move rust from metal plates to acrylic resin. To create rust, metal plates are exposed to the environment: light, rain, soil and sea water. 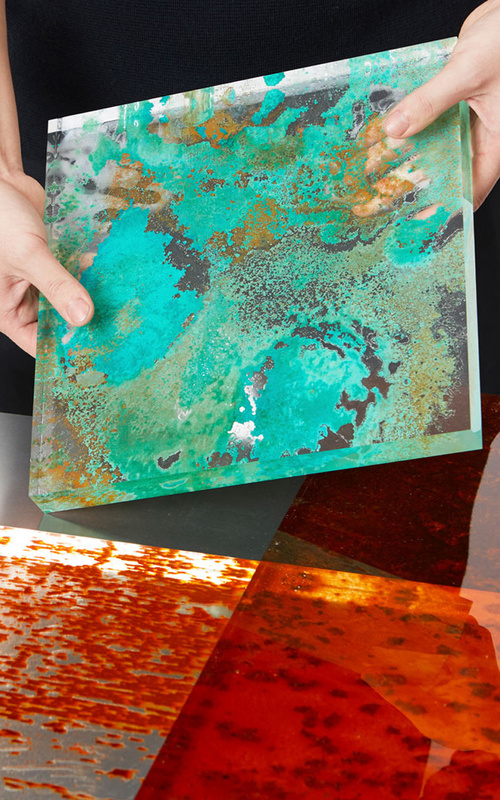 Then, using acrylic resin, rust is separated from the metal plate, remaining on the surface of Plexiglas. 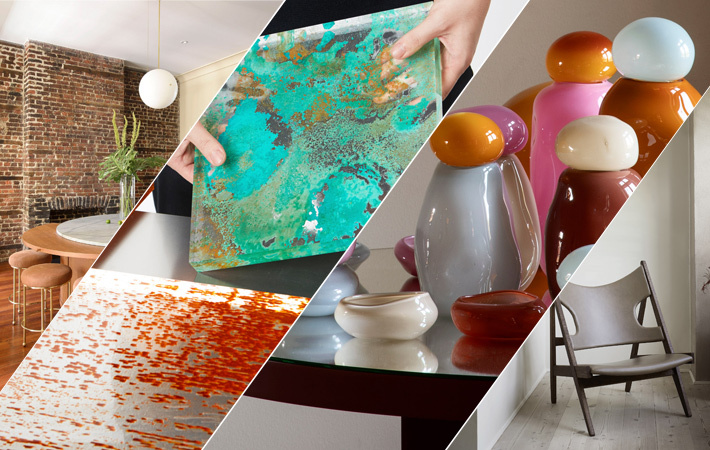 The material has unlimited possibilities in application, including interior design. 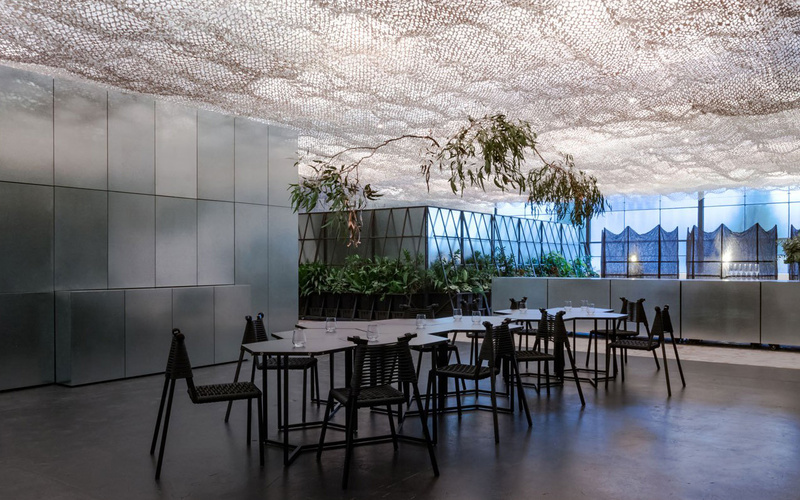 Design practice Russell & George from Melbourne has presented a multifunctional space that varies depending on time and situations. This architectural concept turns into everything that is required from the user at any particular time of the day. 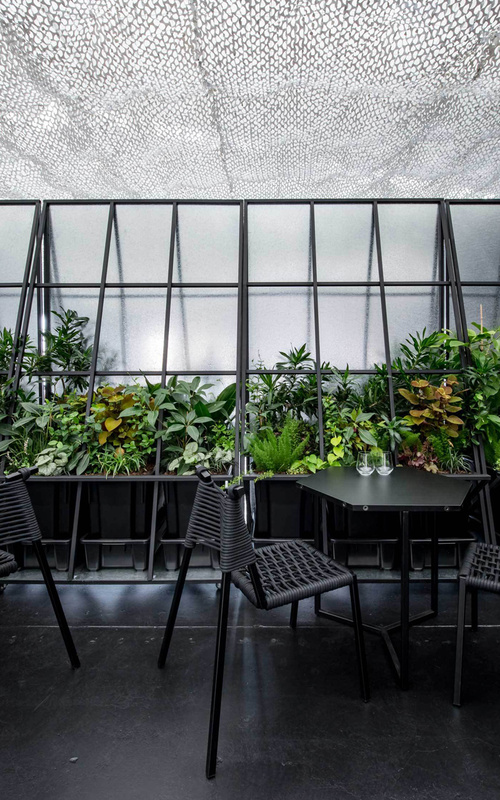 It can be a workplace, a workshop, a kitchen, a meeting room, a cafe, a gallery, an exhibition hall, a restaurant, a place for exercise, but first and foremost this is a place for meeting. 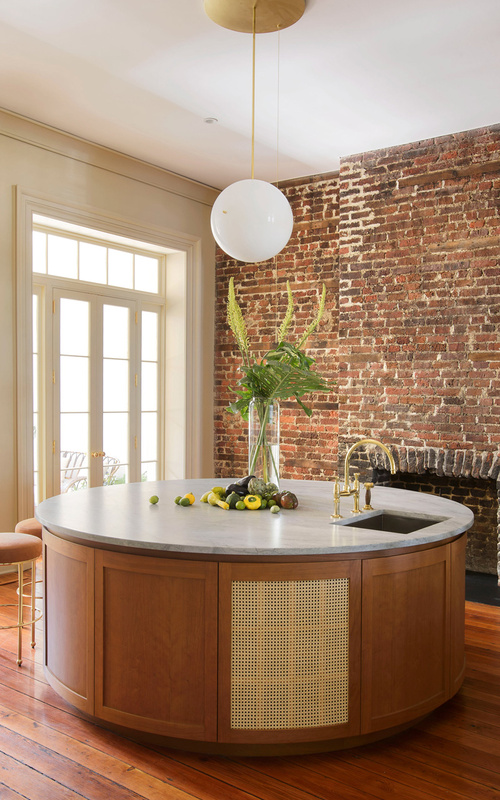 American design studio Workstead has redesigned the interior of the house in Charleston, USA. The house was built in the year one thousand eight hundred and fifty-three, and during the blockade of the city during the Civil War, the house was used for a store for the sale of goods. 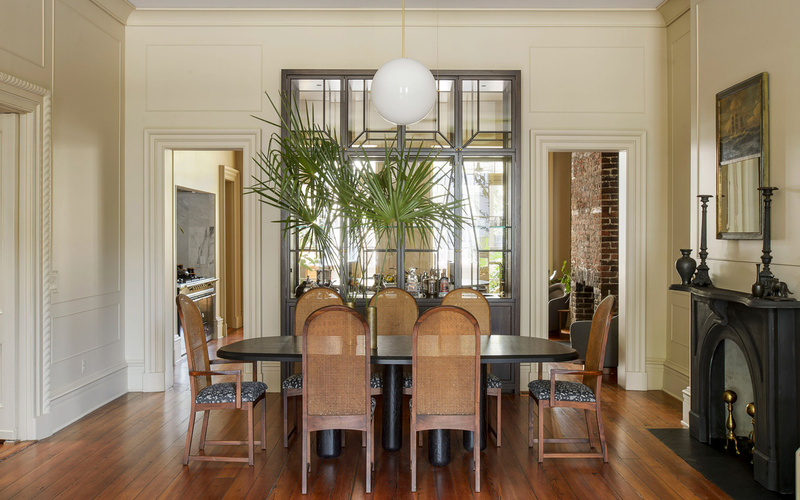 Studio Workstead repaired a three-story house, as well as a small outbuilding used for cooking, preserving many original details, such as a wooden staircase, a balustrade, and floors, as well as open brickwork walls. 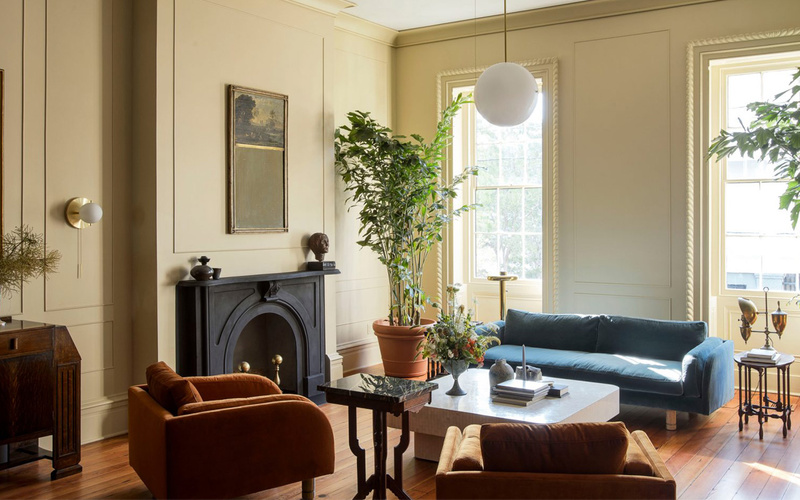 Also preserved are decorative ceiling moldings, fireplaces, window and door frames that have been updated with paint. 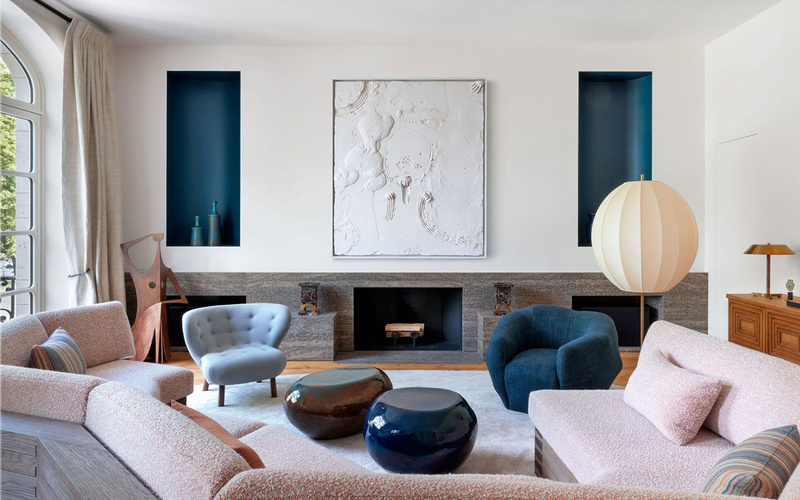 Superstar of French interior design, Pierre Jovanovic, designed the interior of the Belgian house one thousand nine hundred and ten year of construction. The brick facade from the street side remains the only element from the original house. Originally the house was built for an aristocrat, but after about half a century the house was converted into offices, deprived of kitchen and bathrooms. 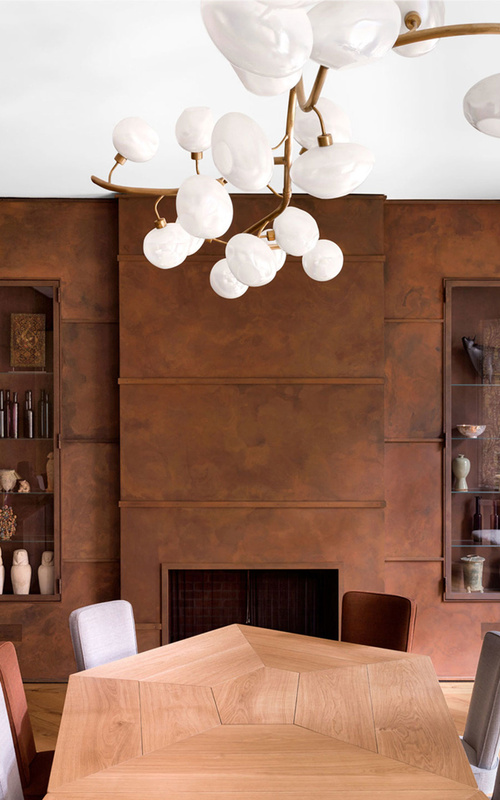 Pierre Jovanovich completely reworked the interior of the house. 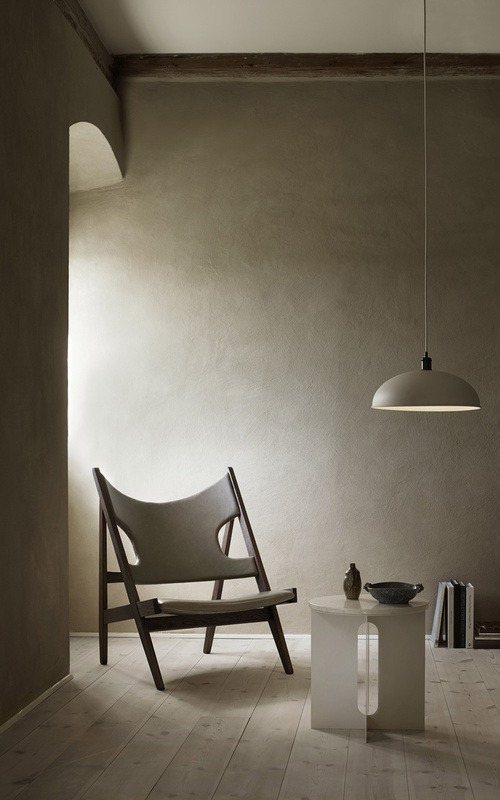 He installed a dining room, made by craftsmen-carpenters to order, as well as furniture of the 20th century from Scandinavian masters. 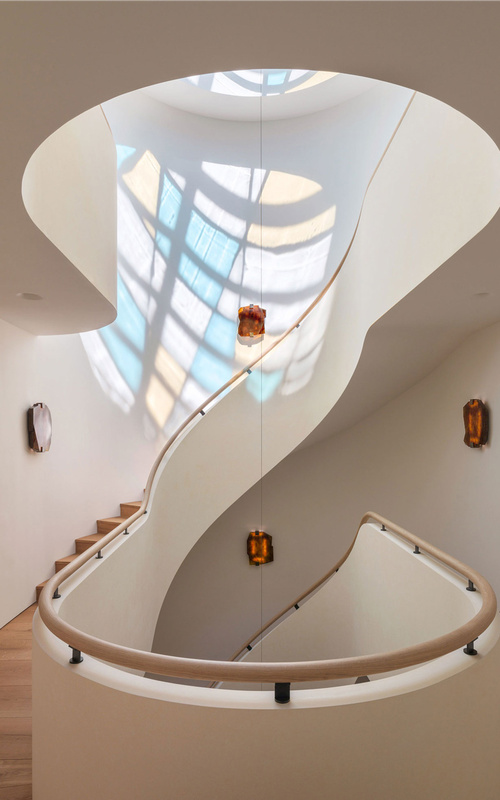 In the kitchen there is a full-sized picture window, and a sculptural spiral staircase, that goes to the sky, is topped with stained glass of geometric form. Read our previous posts. See you!